The video below shows the shocking moment a woman attacked her husband at a bar after allegedly catching him drinking with three women. The incident took place in a bar in the city of Iquitos, in northern Peru's Loreto Region. The woman is said to have spotted her husband drinking with three women at the bar and raising his glass to toast with them. According to Mail Online, she accused him of spending the money they had put aside to pay for their children's school dinners on buying himself and the three women drinks in the bar and attacked him. 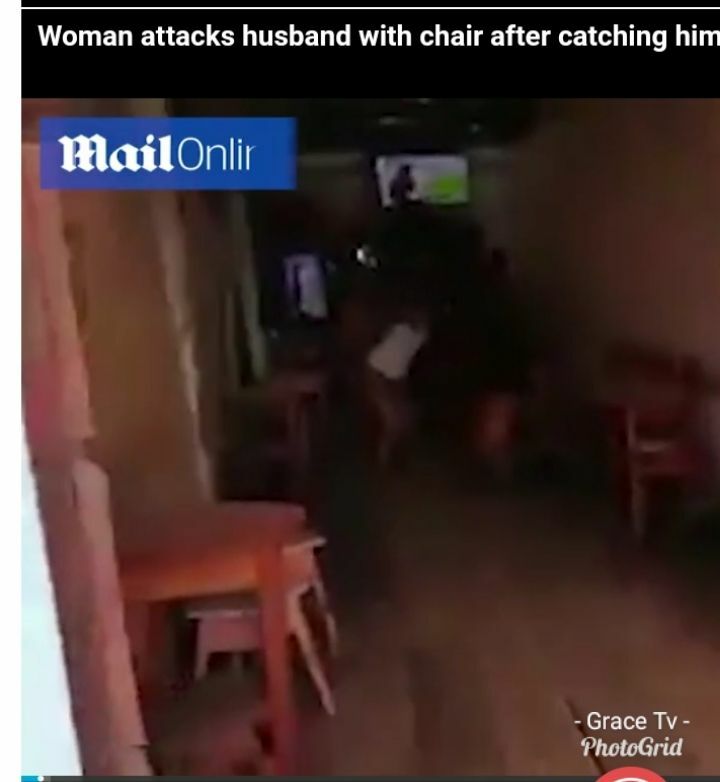 In the video, the furious woman gave her husband the beating of his life by picking up a bar stool and hitting him on the head as he collapses to the floor. After being pulled off her partner inside, she waited for her husband to exit the bar, at which point she pulled him by the hair and hit him in the face.